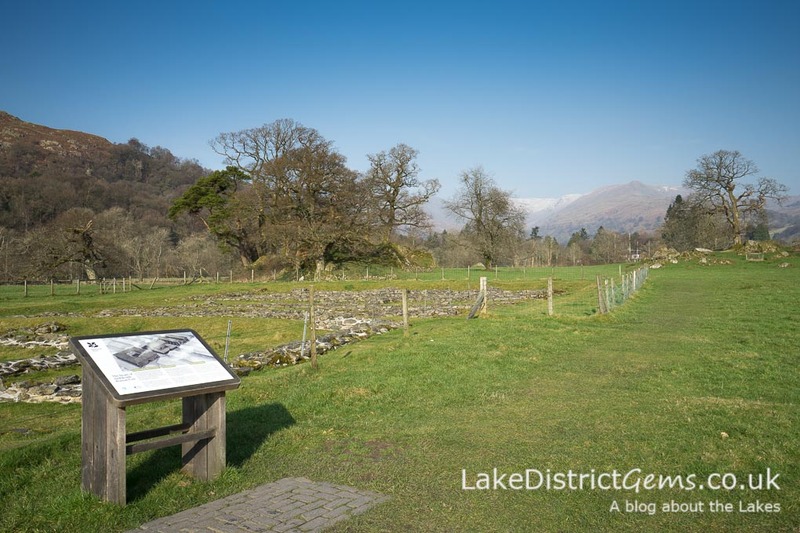 Recently I wrote about historic Ambleside, and how you could get to know this charming little market town by following the Ambleside Heritage Trail. 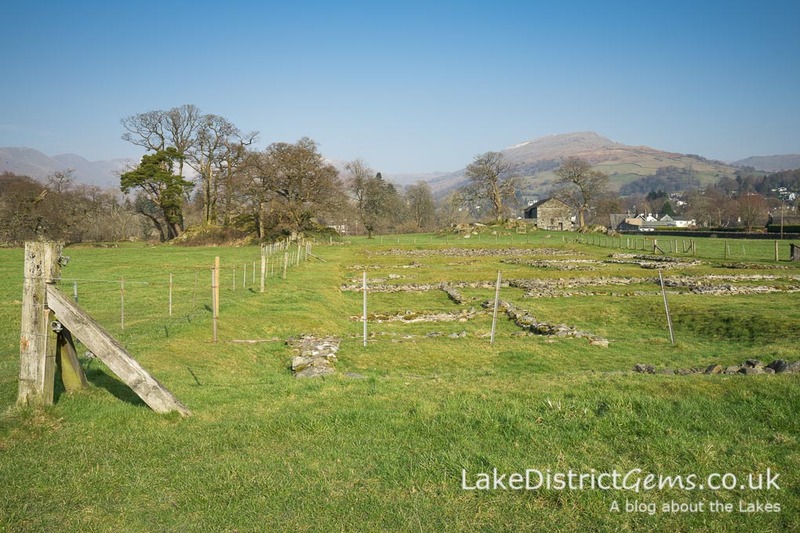 As I mentioned though, the history of Ambleside dates back much further than the buildings you will see in town, and begins with the Romans at a site you can still see today. 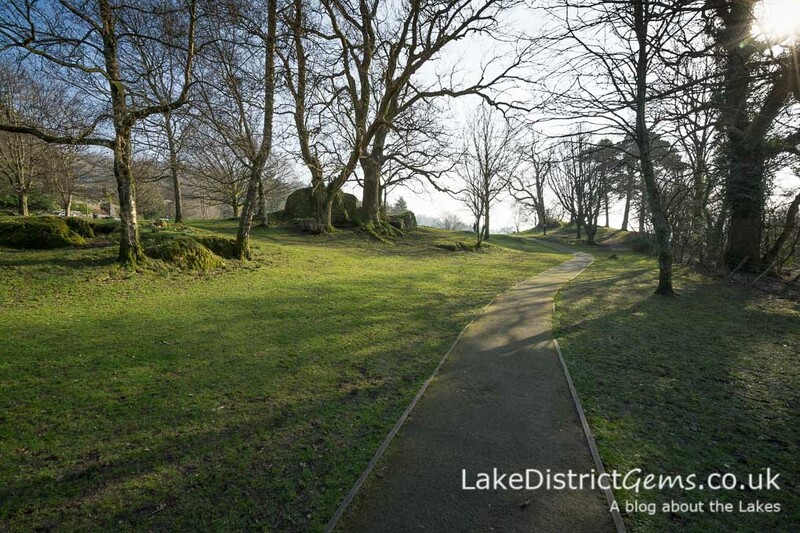 Just a short walk from the lake front at Waterhead, at the northern tip of Windermere lake, you can visit the remains of Ambleside Roman Fort. The fort is often referred to as Galava, although according to the National Trust, there is also evidence that it may have been called Clanoventa – it seems unlikely we will ever really know. Apparently the area was first occupied towards the end of the 1st century AD when a wooden fort was built there, and after being abandoned, it became the site of a stone fort early in the 2nd century AD. It is thought that the lake was used as a form of transport. 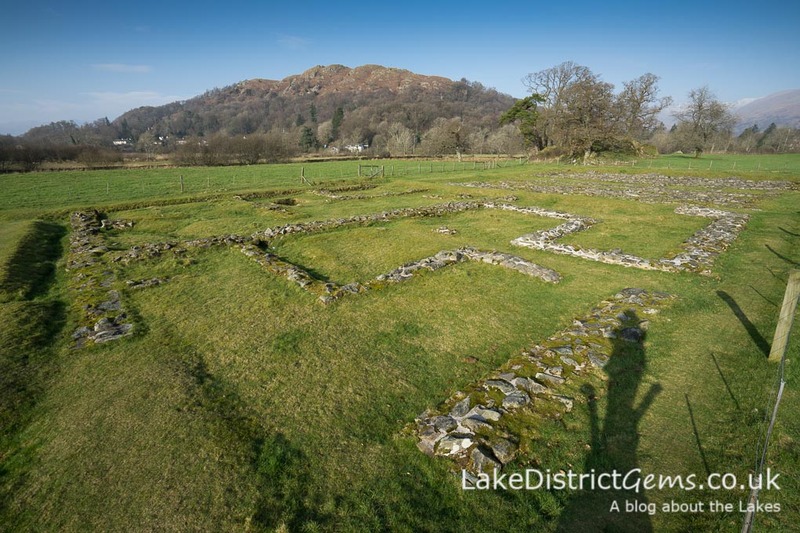 The fort was linked to another at Ravenglass (on the coast in the south-western Lake District) via the Wrynose and Hardknott passes, and the fort at Brougham (near Penrith) via High Street in the fells around Ullswater. 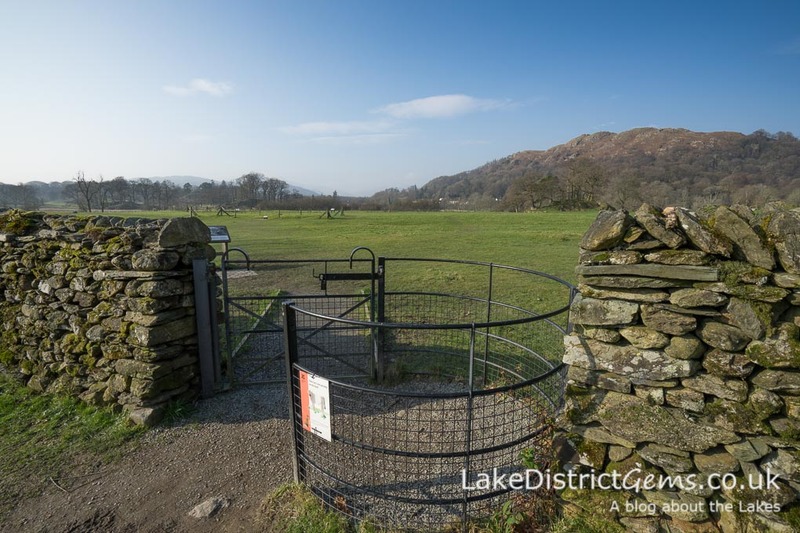 If you’ve ever seen Tony Robinson’s TV documentary Walking Through History where he visited the Lakes, you’ll remember seeing him walk the length of this route and nearly succumb to the hot weather – how did he time his visit so well?! If not, look out for this programme next time it’s repeated on one of Channel 4’s gazillion TV channels (I think I caught it on More4) as it’s well worth a watch – the programme makers even produced this superb detailed walking guide to accompany the episode. This says that the fort’s grain stores were larger than would normally be expected, so the Ambleside fort was perhaps a distribution centre. The fort is free to visit, and is wired off in a large field, presumably so that animals don’t get in and destroy the stonework that remains here. If you’d like to know more about the fort, there are interpretation panels around the field, or you can visit the National Trust’s online web profile, which also has a detailed pdf about day-to-day life at the fort. You can enter the largest fort area over a large wooden stile – and, of course, I had to climb to the top of it to get a better overall photo! The fort from the top of the stile – with my shadow in the bottom right! Something else quite nice to know about for the summer is the small park next door – Borrans Park. We used to do mini orienteering trails there when I was at primary school! 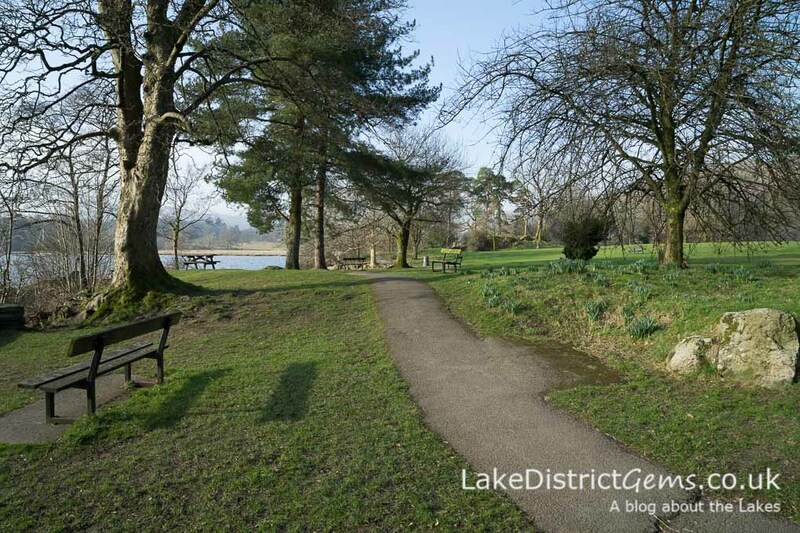 The park’s atmosphere is created in part by the distinctive rocky outcrops there, and it has lots of benches making it a good spot for a picnic (toilets at the Waterhead car park along the main road towards the traffic lights). 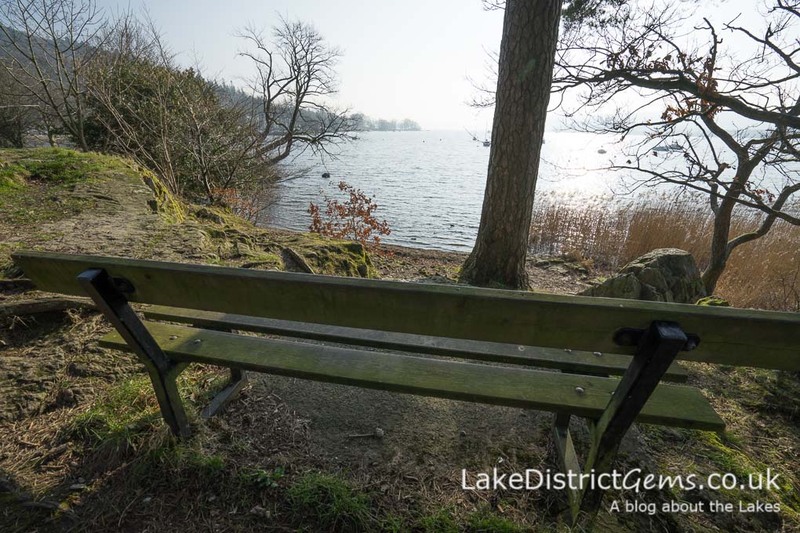 Part of the park overlooks the lake itself, with two of the benches set high on the rocks looking down over the water. 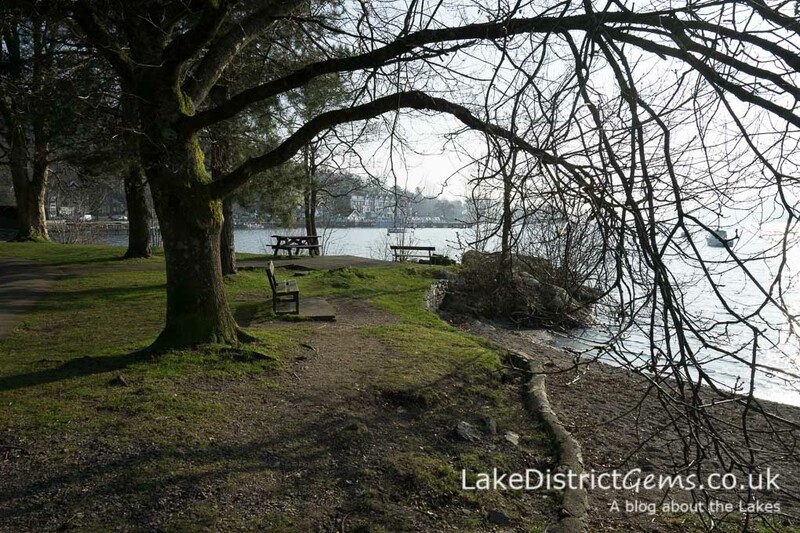 Have you a favourite picnic spot in or around Ambleside? If so, do let us know by leaving a comment below! 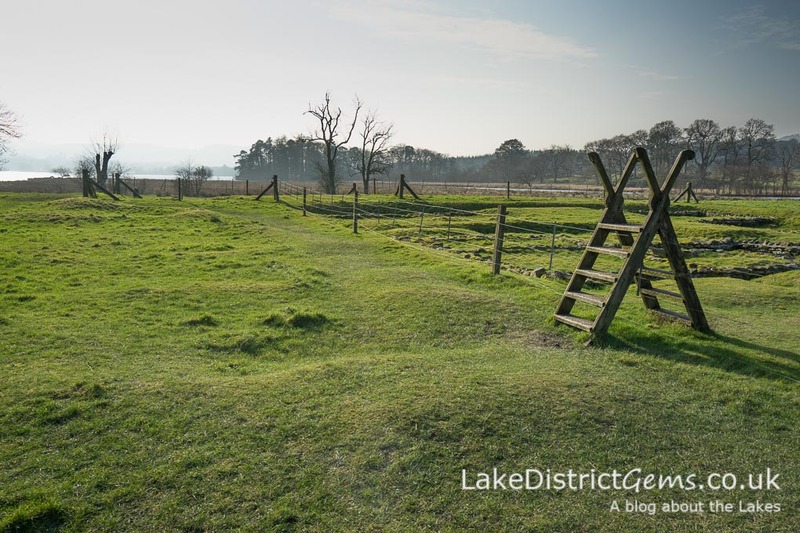 Cumbria has so many historical sites such as roman forts and stone circles – I hope to visit more of these soon on the blog!